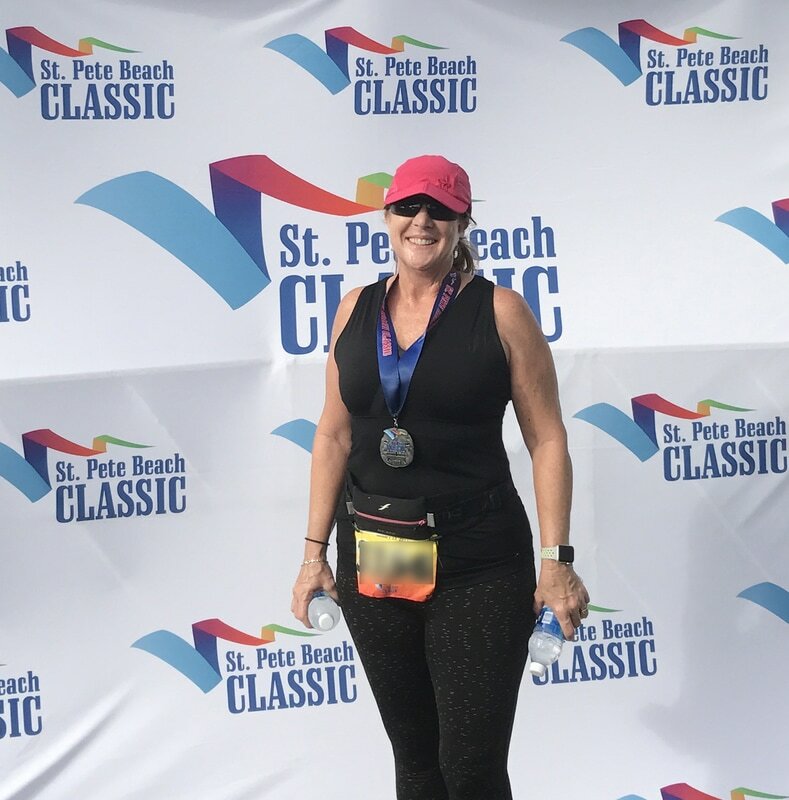 The St. Pete Beach Classic is a weekend of racing on the Gulf of Mexico. The weekend is headquartered at the Sirata Beach Resort in St. Pete Beach on Florida's west coast. 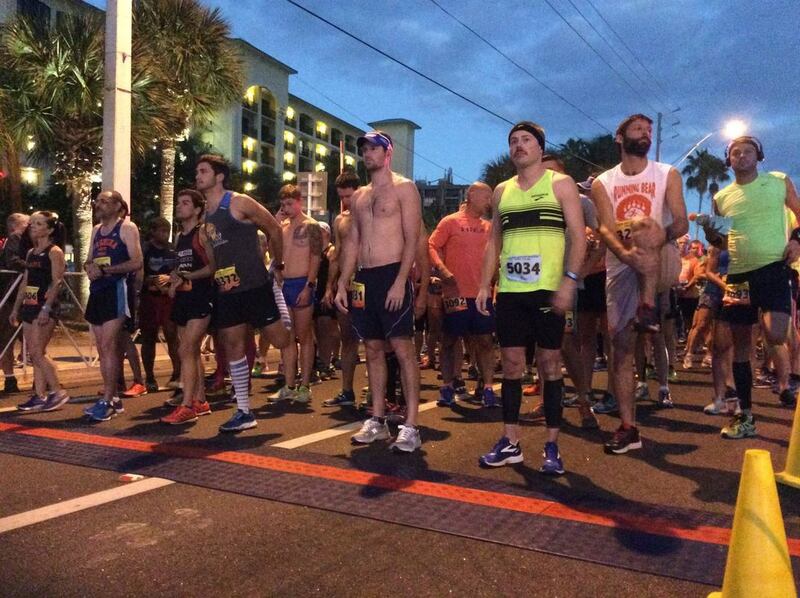 Races include a 3.8 m Beach Fun Run, a 5K, a 10K and a Half Marathon. You can earn an extra medal if you run a 5K/10K Duo on Saturday morning. 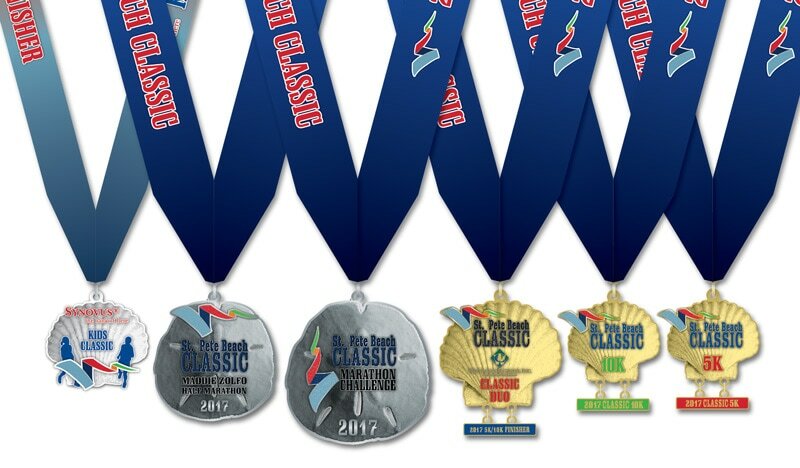 There is an Individual Marathon Challenge that includes all four races for 26.2 miles. There is a Kids Classic Dash for the young ones. The Health and Fitness Expo is on Friday and Saturday. The expo includes running stores, jewelry, gear and apparel vendors. The Beach Run (no medal, but counts towards the marathon) is followed by a bonfire and concert on Saturday night. Expo and Packet Pickup: Yes. Sirata ballroom, 2nd floor. About a dozen exhibitors and packet pick up. Friday 11a-7p, and Saturday 6a-5p. You can pick up for a friend if you have a copy of their email confirmation. Race day pick up is available on Saturday, but not on Sunday. 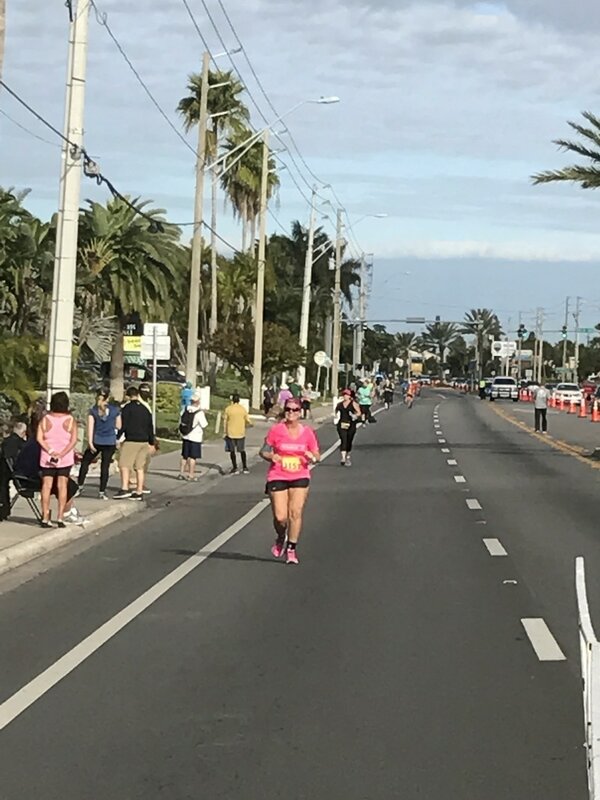 Race Course: 5K, 10K and Half all start in front of the Sirata Beach Resort and travel along city streets with views of the Gulf and Intercoastal. The Beach Fun Run takes place behind the resort along the waterfront. The Half Marathon is a USATF certified course that includes wonderful scenery and secret spots you wouldn't find on your own. Pacers: There weren't any pacers for the half marathon this year. The pacers were fantastic last year. 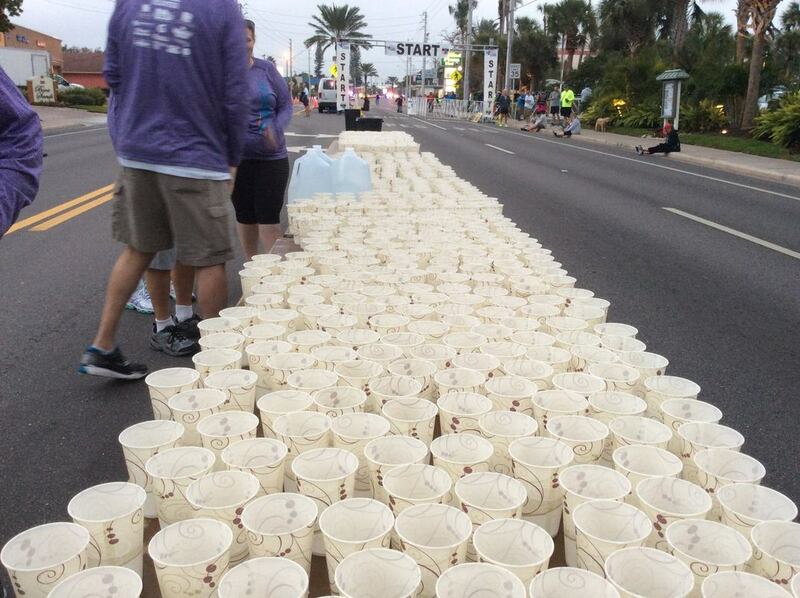 Aid Stations: Yes. Water and Gatorade every 1.5 miles. I really appreciated all the friendly, cheering volunteers at the aid stations. Every bit of encouragement helps! Parking: Easy for packet pickup — check in at the gate and park in the hotel lot, or across the street in a designated lot. There were two nearby lots designated for race day parking. Don't risk getting towed. Pay to park in a public lot, or find the specific free race designated parking lots. 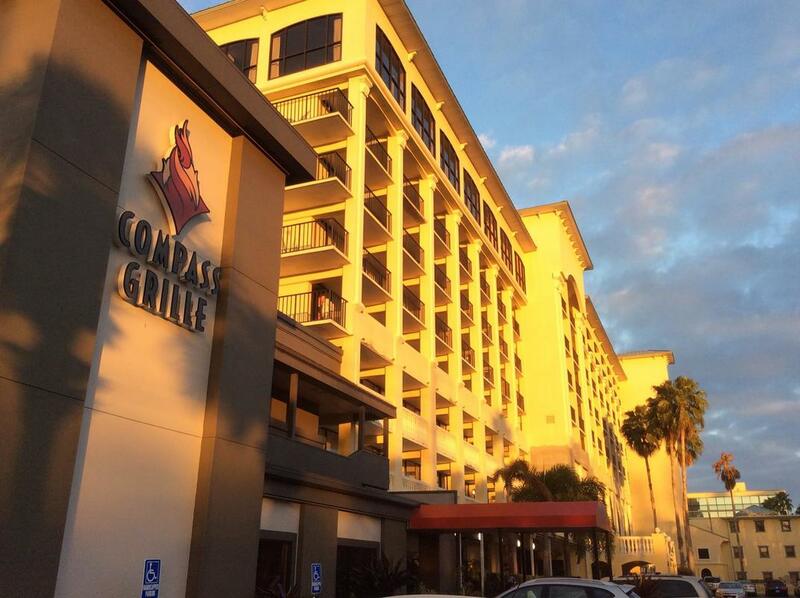 Do NOT park in employee parking, Dolphin Village, or any restaurant customer only parking. You will be towed. 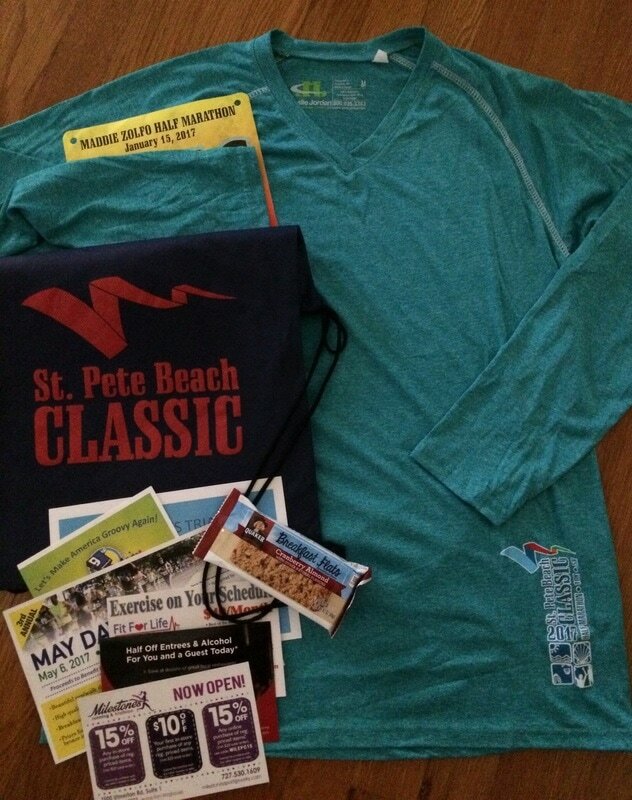 SWAG (Stuff we all get): Long sleeve race shirt and bib with timing chip attached. Walgreens wasn't the title sponsor this year, so there weren't any of their goodies. Everyone received a drawstring backpack, granola bar, coupons, and one of my favorite race shirts. I love the turquoise shirt color! 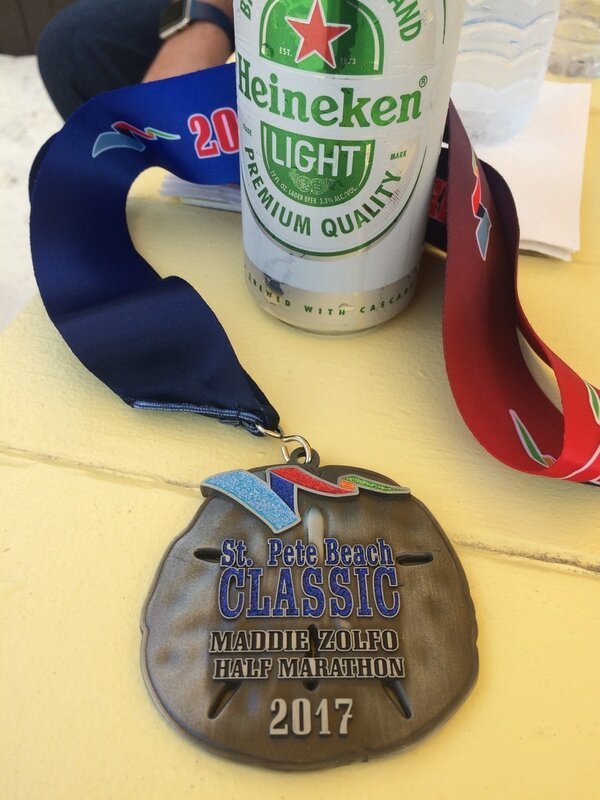 Happy Surprise: The half course takes you on a tour of St. Pete Beach and more. You'll run along Pass-A-Grille's beach and fishing pier, tour the Vina Del Mar neighborhood, peek into secret residential alleys, and view all the hotels on Gulf Boulevard. It's a unique way to see the area. Post Race Festivities: I love the layout of the finish line. Take a few steps and receive your medal, a couple more steps and have your photo taken, grab water, sports drink or a soft drink. The port-a-lets, baggage check, massage, and more cold drinks, are all on your way to the food tent. 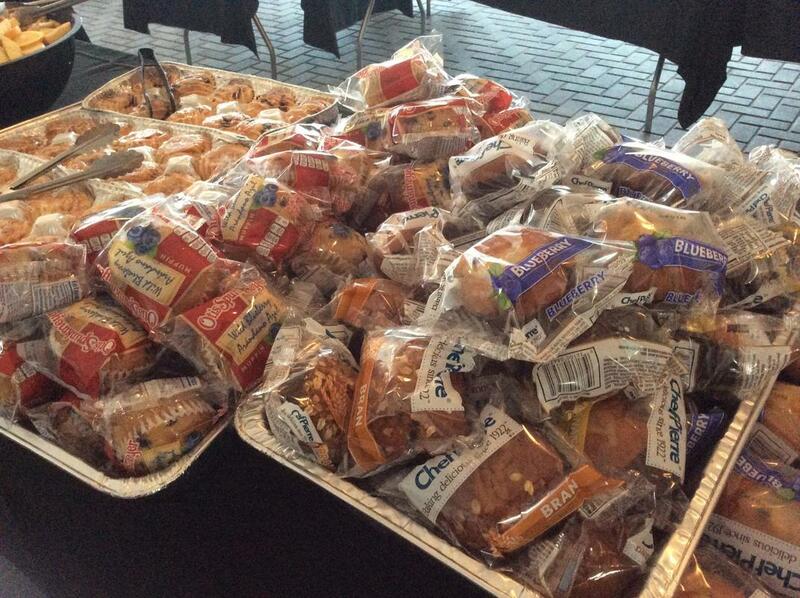 There is a generous buffet of fruit, carbs and protein. Beans and rice are a nice touch. Heineken beer and coffee were available. The post race food and lots of tables and chairs are inside the tent. Additional seating available at picnic tables on the beach and the Sirata's patio. Photos: Yes. BBActionPhoto.com. All photos were online in a day or so. The only photographers I saw were at the start and finish line. You can buy digital downloads or prints. Mugs and specialty prints are available. 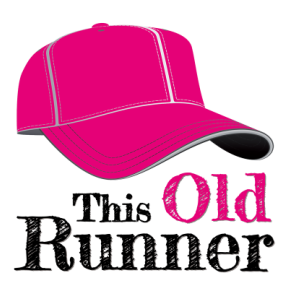 Awards: 5 deep in each of 15, 5-year age groups for male and female in the 5K, 10K and Half. Duo and Marathon Challenge awards are given to the winners of the age group based on fastest combined time. Timing Chip: Yes. The timing chip is on your race bib. Digital displays on the half course showed 5K, 10K and 15K Splits. Only the Marathon Challenge participants are timed during the Beach Run. Weather Report: Last year it was cold and windy. This year it was warm. There was a light breeze at times, but generally calm. Made it to another finish line! This half wasn't even close to my fastest, but it served as excellent training for the rest of the season. I'll admit it — I wasn't fully trained for this race. The holidays interrupted my schedule more than usual this year. I was counting on extra motivation from running with a pacer, and cooler weather. But, there weren't any pacers this year, and the weather was warm. So, that. Overall, I'm really happy with the race. It's one of my absolutely favorite courses. Race management really has their act together, and the volunteers are super nice.